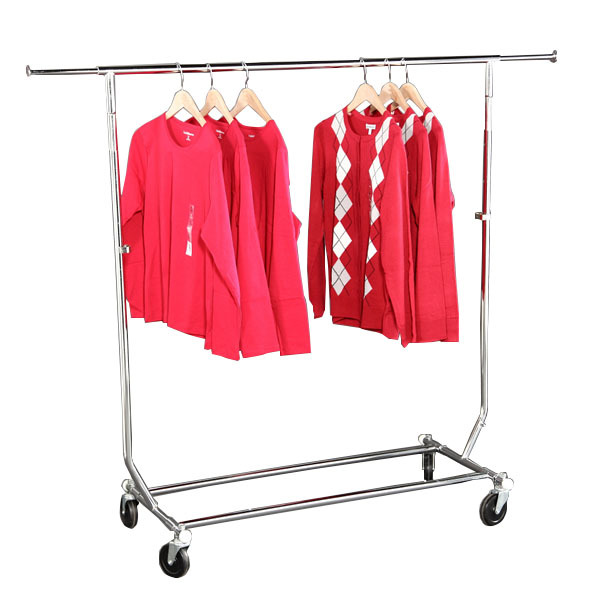 Folding Garment Rack is so versatile it can go anywhere! The Portable rolling rack is great for everyday use, stock overflow, or for seasonal and sale apparel merchandise. Use this retail clothing rack as a coat rack for extra hanging. Folds away for easy storage. This salesman rack features 2 extendable rails with 12" pull-out rods on each end. Folding Salesman rack includes casters for portability. Weight capacity is approximately 120 pounds. For more options, we invite you to take the opportunity to peruse our comprehensive selection of retail clothing racks for sale at Specialty Store Services now.